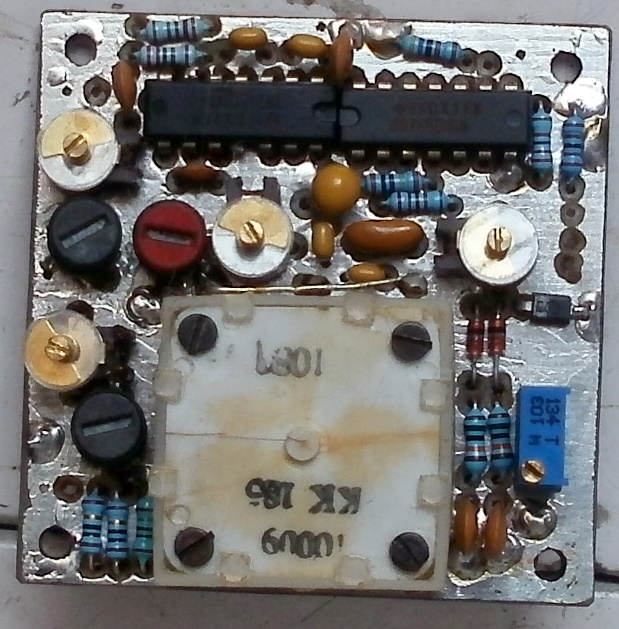 Presented here is a simple & rock-steady VFO covering a frequency range of 21.000 to 21.150 MHz for building a DC Transceiver for 15M ham band. 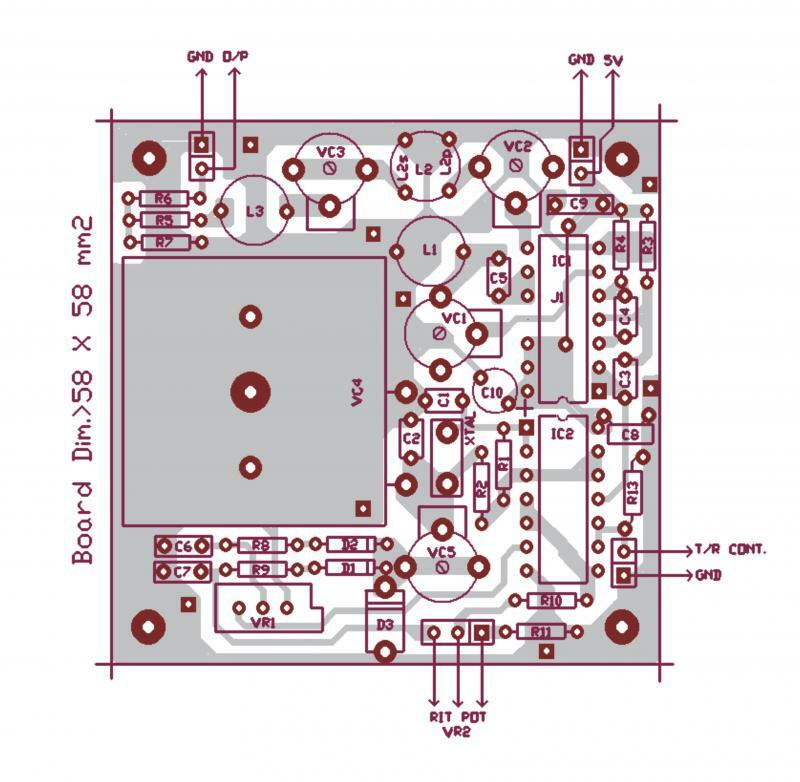 VFO is based on 3.58 MHz Ceramic Resonator oscillator and its frequency multiplication by 6. Provisions for frequency offset of 750 Hz (+/- 100 Hz adjustable) for transmit mode and RIT function during receive mode are also included in the circuit. * may need adjustment for covering the 21.000 to 21.150 MHz band depending upon VC4 used. Standard small RF toroid cores would be ideal for L1,L2 &L3. Partially completed PCB assembly. PCB was fabricated using Laser Printer printout on a thin glossy paper removed from common film magazine and transferring the printout on to a double sided PCB using household iron and subsequently etching the PCB in Ferric Chloride solution (this method is adequately covered by a large number of references on the net). Counter-sunk holes were drilled on the component side, leaving the ground plane around the holes. No counter-sunk holes were drilled for grounded components leads. PCB was then tinned on both sides. 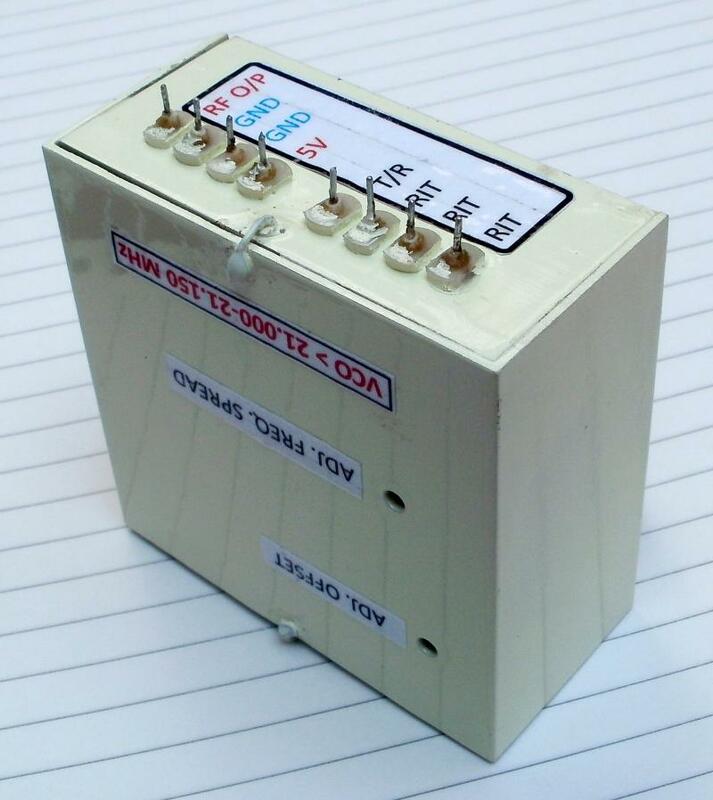 The completed and tested PCB was housed in an aluminium box (63X63X30 mm3) with eight input/ouput lead-through pins for connections. A slow motion drive was coupled to the variable capacitor shaft as seen in the above picture. Another plate with 4 hang-nuts was put on the slow motion drive for mounting the complete assembly on the front panel of transceiver. Two holes were drilled on the top cover of the box to enable final adjustment of offset frequency and RIT tuning range (through VR and VC5). +10dBm output signal with 1KHz/div span as observed on HP Spectrum analyzer. 21.096700 MHz output signal as seen on the 100MHz Oscilloscope. 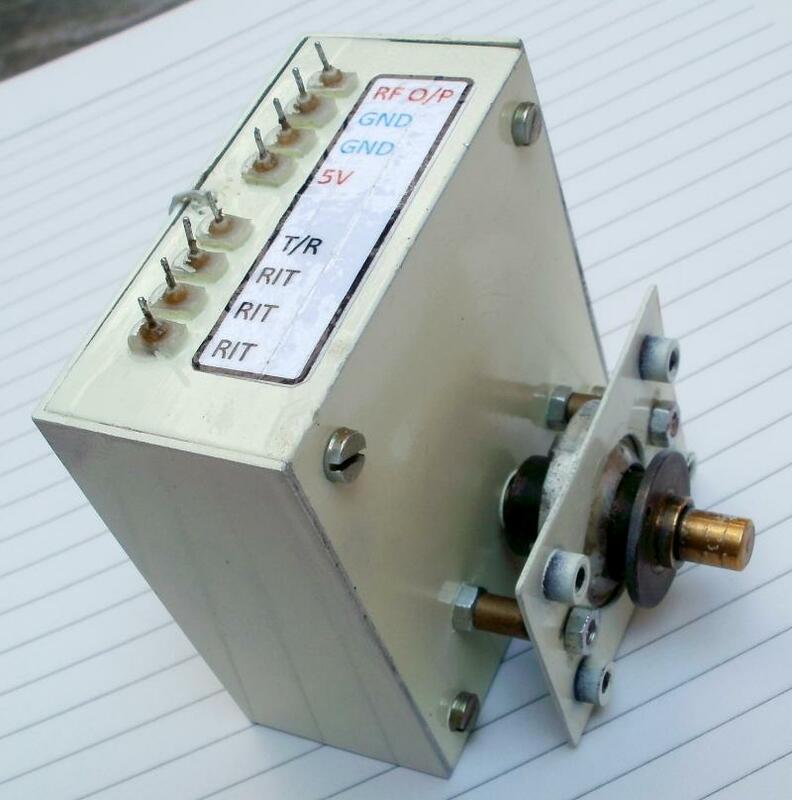 The above circuit is simple to make, has excellent stability and has adequate output for use with any type of mixer. The output is taken through 3db Pad which ensures 50 ohms output impedance. The same circuit could easily be adopted for 20M & 40M VFOs.